You’ve probably heard this one before. There are variations that all mean the same thing. It is easy to claim that by sitting around and reading or watching videos all day, we are learning about a subject. This isn’t the whole truth. Sure, if I sit and watch three-hour of videos of blacksmithing then I might have a general idea on how the process works. The problem is that if I have never picked up a hammer and tongs and felt the reverberation of each strike on the hot steel, then I am learning only on a theoretical level. Listen. I am not vilifying learning from others. There are invaluable tutorials and lessons to be found in books and videos, but we must use them correctly. 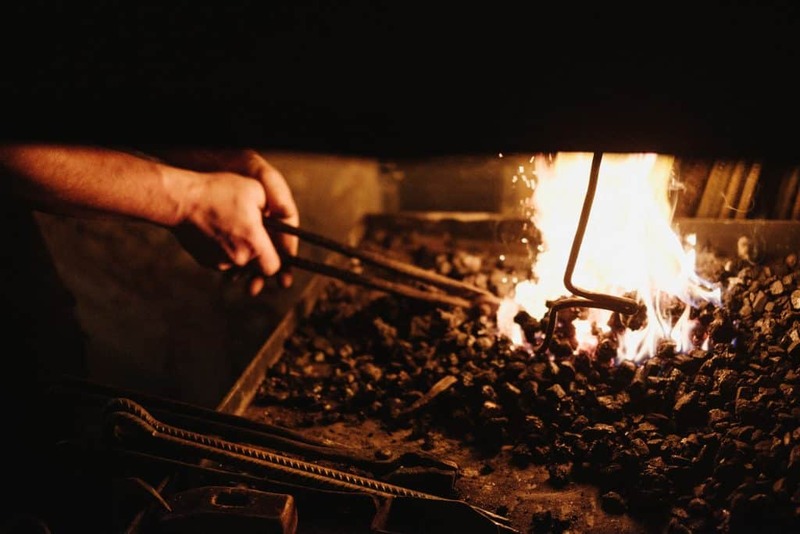 If you want to learn the basics of blacksmithing, you must go through the rigors of the process and make mistakes. You have to feel the weight of the hammer and the heat of the forge. First, you are wise to learn the basics of the process from watching videos or reading. However, there comes a point where you have to take your theoretical knowledge and apply it. Know that you will not do it perfectly at the start. This is fine. These imperfections and mistakes will help identify the areas for improvement. If instead, you study for hours and days before getting started, you can become paralyzed from too much information and overcome by a fear of inadequacy. You might think that just knowing a little more will reveal the secrets of the craft. That is not how it works. Magic pills do not exist. If anything, the magic pill is the effort and experience you gain while working and learning. Once you have hammered at the steel and felt the strain in your arm, you will know what studying cannot teach you. There are nuances to every skill that can only be picked up from trying and failing. Failing is not a bad thing. It is evidence that you are working and learning. Every blacksmith has failed numerous times and made countless mistakes before they mastered their craft. Get it in your head that failing and mistakes are bringing you closer to expertise. They are your greatest teachers if you choose to learn from them. Once you have put in the work, you should rest. Your brain does its best processing while you sleep. The next day is a good time to study again. Your brain now has more information to work with. The information from studying and the feedback from your efforts of learning the task. This is where the real learning and breakthroughs happen. Switch back and forth between doing the work and studying. Be sure to get plenty of rest if you want to learn quickly. A rested brain learns faster than a weary one. Take any subject in your life that you want to learn and apply these principles. If you can work hard and use a balance of work and study, your progress will come quickly. Enjoy the process.